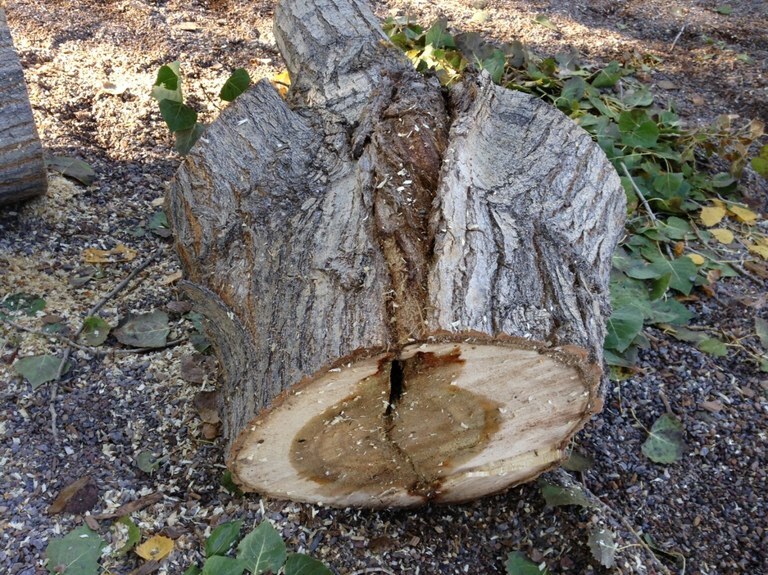 This picture shows the inside of the stem of the small, healthy cottonwood which was removed. The bark inclusion runs from one side of the trunk to the other, right through the middle. The stained wood indicates decay that has already begun attacking the heartwood. This trunk is actually two half-trunks, not attached to each other, and pushing against each other. Image: Anjel Sepulveda.